Scan to check the website of mobile phone edition. 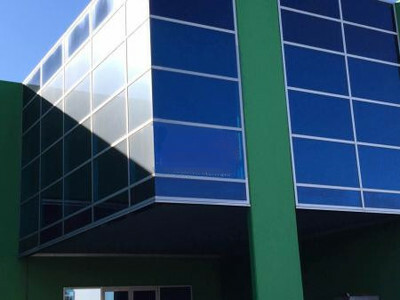 Located in Melbourne Australia, Oz Natural Plant Products Factory, with the support from Australian pollution free agricultural products and R&D from AUS BOTANICAL RESEARCH INSTITUTE, is devoted to doing R&D on pure natural health food and becoming the leader of health food and dietary supplement in Australia. Its main business is R&D, production and sales of health food. Led by Dr. John Thomas Thole, Chief Technical Officer of Aus Botanical Institute, the senior heath expert team offers abundant, inventive and special health food by setting a series of standard procedures for planting, extracting and processing. Our main product is Black Garlic Oil, which is made to meet consumer’s pursuit for green natural food. It is the dietary supplement caring every customer’s health. The product is sold globally with Hongkong Fuwah Pharmaceuticals Company as the sole agent, and is exported to China, Malaysia, Southeast Asia, Europe and America. Our facilities are highly automatic and the processing plan is scientifically made, which has a high cost effective performance, made resource (steam condensate, afterheat, excess pressure) recycling possible, highly promoted energy saving & emission reduction. We imported the most advanced sterilization production lines, combining pasteurization and high temperature autoclave sterilization, the latter could prevent from recontamination after pasteurization. The lines take the most advanced technology for food & drinks production. The autoclave takes instant high temperature sterilization, which could preserve the drink’s natural flavor and nutrition as much as possible. The product could be fresh, nutritious, healthy, and safe. The production lines could make use of the recycled resources, which takes its responsibility to environment protection. Our products are positioned to middle & high end market, which have got a high profit margins. Zero franchising fees and precision marketing management could assure every distributor of their practical profits.